Hiroshima owes the Johokyaku company a debt of gratitude. 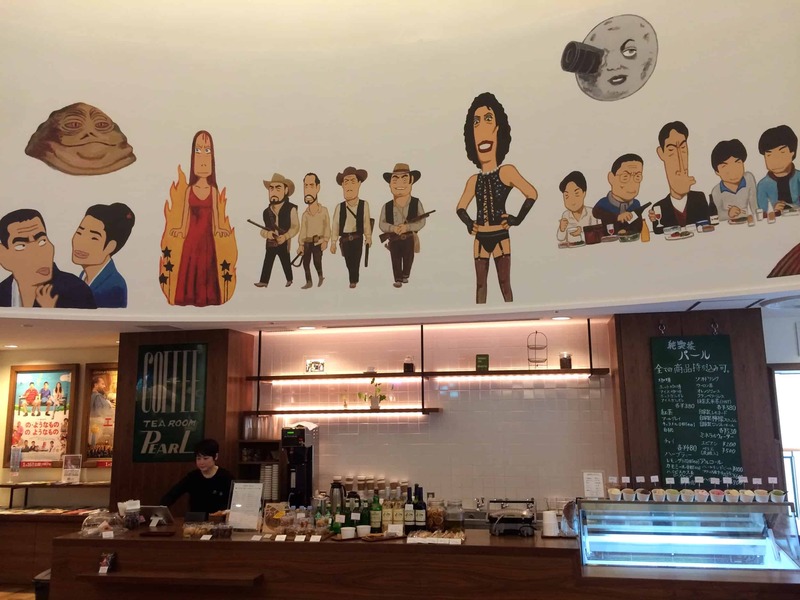 Not only have they been passionate supporters of independent cinema for over half a century, they have brought movie theaters back into the city center and recaptured some of the magic of cinema going that has largely lost in the rise of the multiplex. The original Salon Cinema, located just off the shotengai shopping arcade in Takanobashi, closed after 60 years in 2014 due to the increasingly dilapidated building (see some nice photos of the Takanobashi location just before it closed on Leah’s excellent Japan Journal). Many local cinephiles were sad to see it close, but few will grumble about the new location which increases comfort and viewing experience while maintaining an appreciation of movie history and many nods to the golden age of cinema. On my first visit, I actually overheard an elderly couple in the elevator talking about how much they loved the new place and that they used to feel quite nervous about what would happen in the event of fire in the former location. 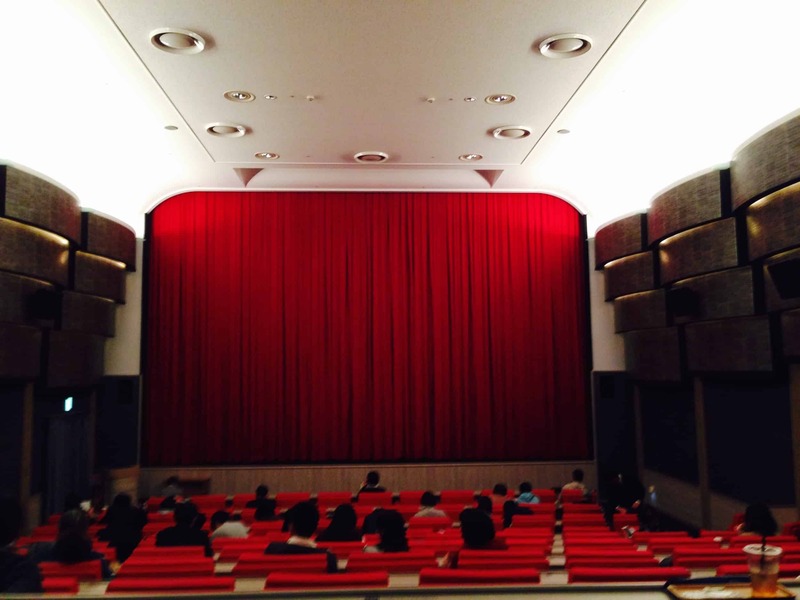 based in Yuki-cho and both theaters have a limited number of Japanese style horigotatsu seats at the back. The lobby oozes pre-war nostalgia with its stylized elevator doors and a retro ticket booth. 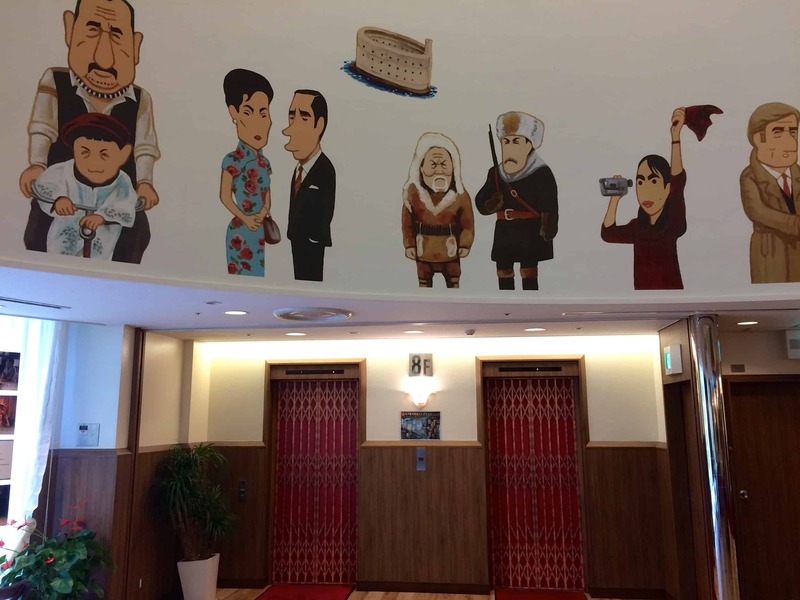 The domed ceiling is decorated with artists impressions of scenes from classic films, both Japanese and international. 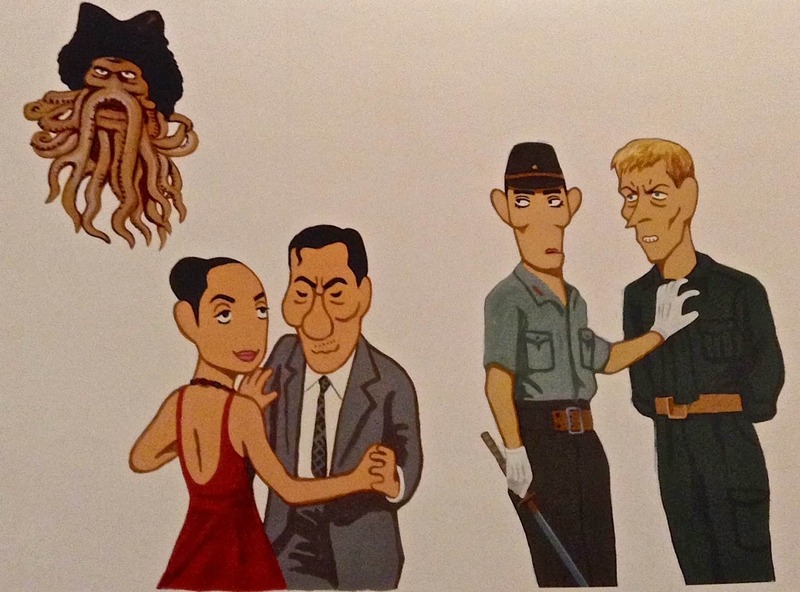 It’s fun to try and identify all the films referenced while enjoying a drink and a snack from cafe Pearl, named after a long running kissaten coffee shop in front of Hiroshima Station that was lost to redevelopment. Salon Cinema’s seats are not only very spacious, comfortable and have lots of legroom, but those in theater one also have a nice shelf on which you can place your drinks and snacks – all very civilized. In one last reference to Japanese cinema history, each film is introduced by a staff member dressed in happi coat from a podium, the kind of which benshi narrators would stand during screening in the silent movie era. 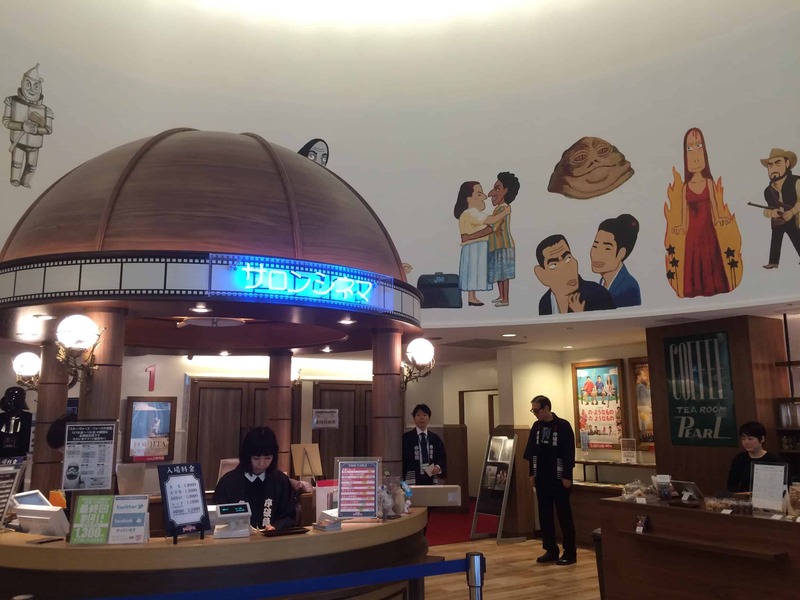 Salon Cinema is located on the top floor of the building as that Tokyu Hands on Hiroshima’s “densha-dori”. Read more about Salon Cinema here.